This training is designed to reduce the skill gap that exists between what newly hired workers know and what employers need. It helps to increase safety and productivity while giving companies the opportunity to evaluate potential new employees. The participants benefit from this education by boosting their confidence and increasing their skills and knowledge, thus increasing their employability and their ability to attain and maintain manufacturing work. Clients will receive classroom instruction in life skills, employability skills, workplace readiness and safety in manufacturing training at Mussell Crane. 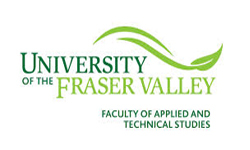 In addition, they will attend the University of the Fraser Valley for four weeks to learn introduction to manufacturing. Then clients will return to Mussell Crane Mfg. to gain industry skills certifications. Once participants have successfully completed all these training components, they will then be hosted by a local employer for a 4 week work experience placement. Clients will receive an additional 2 weeks of job search support if required. This program provides an excellent opportunity to meet the staffing needs of employers and the employment readiness preparation for the participants.